Oliver Cameron is the founder and CEO of Voyage, a one-year-old startup based in Santa Clara, CA. Voyage deploys autonomous vehicles in amazing communities across North America. Originally from the small town of Halifax in Northern England, Oliver became obsessed with software and programming early in life. He built an iPhone app that changed the sound of your voice utilizing DSP algorithms, eventually selling over 1 million copies. He then came to the Silicon Valley after being accepted to the Y Combinator summer batch of 2011, with the idea of building an ‘intelligent address book.’ Through this startup he became interested in the domain of machine learning, obsessed with self-driving cars, and stumbled onto the online course platform Udacity, founded by the ‘Godfather of self-driving cars,’ Sebastian Thrun. 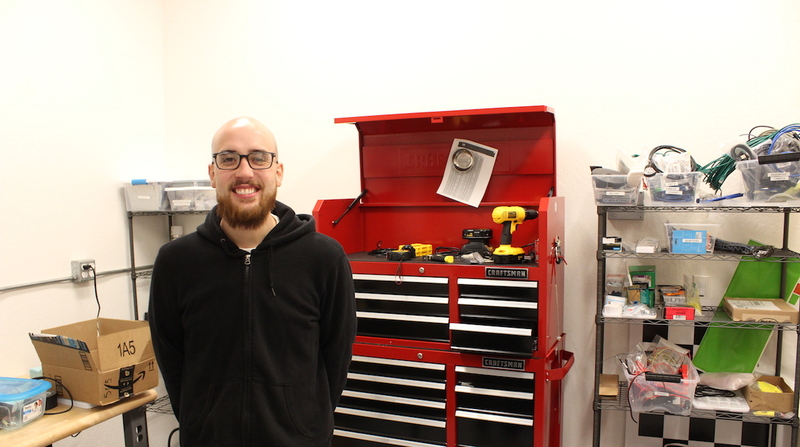 While completing all of the Udacity AI courses, he came to know the Udacity team well and ultimately landed there, running the team that developed the Self-Driving Engineering Nanodegree, among other efforts. 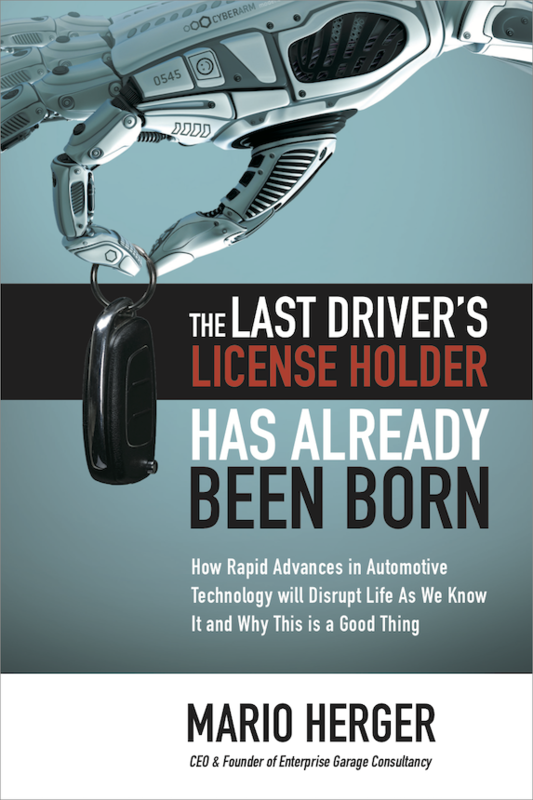 The Last Driver License Holder: How did you get into self-driving cars? Oliver Cameron: One of the first courses I took on Udacity was Sebastian Thrun’s AI for Robotics, which taught many of the principles behind the cutting-edge robots and self-driving cars of today. It changed my life. Soon after completing that class in 2013, I joined the Udacity team. The mission of teaching the world machine learning and computer science was incredibly appealing. At Udacity, I was lucky to work with Sebastian Thrun on so many classes and projects. One of my favorite projects was utilizing machine learning to grade student work. 2016 was very much the year of the self-driving car, and I led the development of Udacity’s self-driving car class launched that same year. The demand was off-the-charts, and to pour fuel on the fire, we started an open source self-driving car project. That project eventually became what is today Voyage, after a new-age university spin-out. TLDH: Did you base your software on the code stack that you developed at Udacity? Oliver: We took the learnings, but the code was mostly started from scratch. It’s an incredible time to be in this industry, with so many crucial components and verticals being built by world-class startups. At Voyage, we pride ourselves on our partners in mapping, sensors, simulation, remote operations, and more. That said, not everything is available off-the-shelf, so we have made a bet that our custom-built work in perception and motion planning is better than anything out there. TLDH: How many people and cars do you have and where do you operate them? Oliver: Right now we are 23 amazing Voyagers. We currently have four autonomous vehicles – Ford Fusion – aand they are deployed as a robotaxi-service in private residential communities in San Jose and Florida. Our latest deployment is rolling out to over 160,000 residents on 750 miles of road. TLDH: What are your first experiences with your cars in The Villages retirement community in San Jose? Oliver: My naive opinion, before our first deployment, was that a retirement community may be more conservative and risk-averse about utilizing self-driving cars, and that if we could win this uphill battle we could go to any other demographic with ease. It turns out I was really wrong, and that it was the total inverse. The residents love using self-driving cars, primarily because they hate driving their own cars. Whether it’s for medical issues or because they want to just get around with zero friction, the residents have fallen in love with Voyage. TLDH: Can you tell us more about these riders and the rides? Oliver: few days ago we hit a new record: 65 rides in a single day, and we are now doing that almost every single day! The residents can hail a car through an app. Currently we have certain operation hours, today it’s between 2pm and 8pm, and especially evenings are busy, as residents are going to dinner and social events. We open up weekends from 9am to 5pm. The number of rides we are giving is a limitation of the number of vehicles we have today, considering they are at full capacity. The communities have been very welcoming, as they have a goal to have their residents have an active lifestyle and get out of their homes. Some are not able to drive themselves, some drive only at daytime, but cannot at night time due to vision impairments. TLDH: What are your experiences with an elderly demographics of riders and the cars that you uses? Oliver: As we use Ford Fusions, the challenge for our passengers is that for some it’s not easy to get in and out. It’s low, they have to bend down, and where would they put their walkers and canes. What we strongly believe is that the future with autonomous cars is pooling. This also makes it cheaper for us, as the bulk of the costs is in the sensors. As startup we cannot buy thousands of vehicles, so pooling will help us serve as many customers as possible. TLDH: You talked about costs in the past and said that mobility costs for autonomous vehicles will come down by 100 percent. Can you break this down for us? Is this something that we want, in regards to sustainability? Oliver: What we will see is providers for different use-cases. People will pay for a private robo-taxi, or they could make use of a free robo-taxi with some drawbacks (ETA, advertisements, pooling etc.). Ultimately, when prices become so low, we will see a deviation to different business models. We love this idea that every human has access to mobility as a universal right, like how Google found a way for every human with an Internet connection to search the world’s knowledge. Today, most people buy older vehicles, and those vehicles have insufficient safety features. We hope that this inequality will disappear with self-driving cars. TLDH: Are you seeing Voyage as a future operator of an autonomous fleet? Yes, definitely! Today we are working on the hardest robot of them all: the self-driving car. But, there will be an incredible amount of opportunities beyond that, like we’ve already seen with other helpful robots (like delivery robots). One advice that I often give to other startups in this space is that you cannot just stand on your technology alone, you need to find a clear business model. TLDH: How do you see autonomous vehicles in rural areas? Oliver: We see that as a huge market. We’re very much about serving areas which are traditionally underserved from a transportation perspective (i.e. anything but a city). The roll-out of self-driving cars will take far longer than human-powered ride-sharing today. There’s just a lot more up-front work, such as mapping, QA, vehicle build-outs and more. This is why we serve these less populous areas first and foremost, because we think the problems to solve are massive and that there will be some defensibility built up over time. TLDH: Are the cars when driving offline or online? In other countries car makers are spinning the tale that you need 5G or some sort of internet connection to be able to communicate, do V2X, V2V, and only this would allow autonomous cars. Oliver: You’d be best advised to develop the cars without expecting connectivity. An autonomous vehicle needs to be able to handle any situation without talking to other objects. We do have a 4G modem in the vehicle, but that’s only for summoning the vehicle to a location and isn’t required. If we’ve learned anything from the past decade it is that you cannot rely on connectivity! TLDH: Did you have to prepare the retirement community? Oliver: No, the only thing we have to do is mapping and insurance. That’s it. Both of these are definite challenges, but they’ll become solved problems over time. TLDH: How are you thinking about human machine interfaces, how humans and autonomous cars communicate with each other? Oliver: We’d like to buy HMI off-the-shelf one day. We are exploring it, but I am not convinced that it has been figured out yet. It’s a complex problem signaling intent, what the car wants to do, and a screen alone with text and graphics may not be enough or the right solution. It begs more questions than answers, but the problem will ultimately be solved. Oliver: We are expanding our fleet of autonomous vehicles rapidly, starting with a new minivan, to serve the 125,000 amazing residents at The Villages, Florida. Oliver: Yes! All our open positions are on our website.